Yesterday one of my good friends Rhonda asked me about my competition. In the broad sense I do. There are many places you can go to find catering software, but a closer look will reveal why we operate competition free. We are the only catering software company that focuses on restaurants that cater. 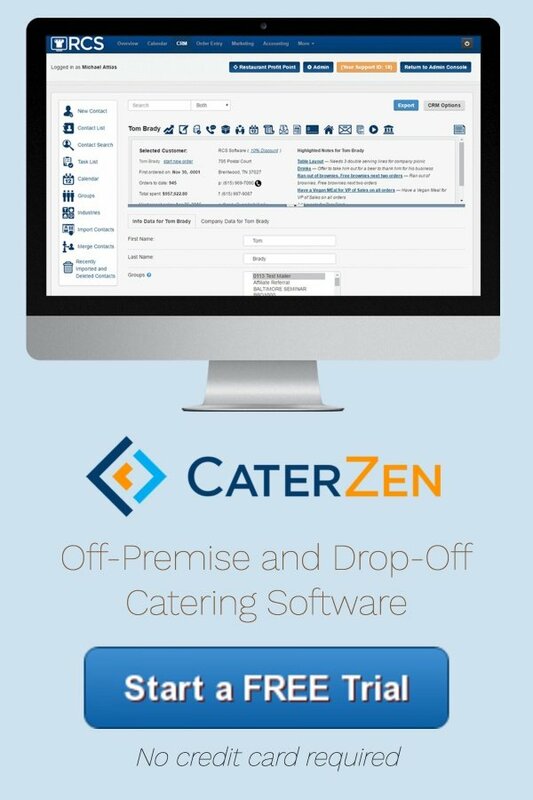 We are on the only catering software company that provides systems and tools to find new catering clients and keep them coming back. And we are the only catering software company that provides a system to operate your catering profit more effectively; saving time and making more money…like with online ordering and our new Delivery Manager that allows drivers to handle their orders via smart phone). 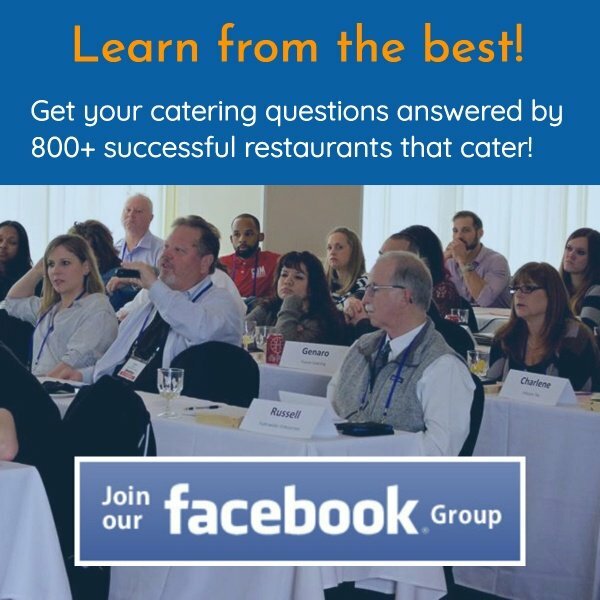 So how can you make your catering business competition free? Last week my team and I at Restaurant Catering Systems threw a two-day event called Caterpalooza. The room was packed out and the attendees heard from some great speakers with ideas to build their restaurant catering sales. One of the more eye-opening presentations was called: The Art and Science of Having A Competition Proof Catering Business. I had my Business Development Manager call three different caterers and order in lunch. She called an independent deli, a national chain deli/sandwich restaurant and a catering aggregator; someone who resells catering from multiple concepts to a client. They all had their challenges on the phone, but to no surprise to me, the independent deli offered the best food by far, but the worst performance over the phone. Let’s be clear. The phone is often your weakest link. If you can’t fix that, then you will never be competition proof. I learned this lesson, when I opened my restaurant in 1992. I mystery shopped four of my barbecue competitors in town and played catering prospect. What I learned transformed how I conducted my catering business. So now back to our independent deli. First Call: When my team member called to place an order, she was given the name and number of their catering sales person and told to contact her. No, no, no, no, NO!!!! We are in the hospitality business; not the make the customer do more work business. Ping Pong Calls: The next couple of calls were the catering sales rep leaving a message and back and forth a few times. She then asked my team member if she had been to the website, as they usually want you to go online first and email them the information. She didn’t even know her prices. If I wanted to work to place an order, I would walk in Costco and pick up a tray of sandwiches and bag of chips. Excuse me. You are selling a product 20% more expensive than your competitors. The product is worth the price, but the service sucked! Do not tell me your rules or what you want me to do. You have a client willing to give you a credit card, and for all you know could become a regular, do not make me jump through hoops. Your competitors who attended Caterpalooza know better and will steal me away! Besides listening to the recordings, we actually had all three caterers deliver and set up the food live during my presentation. We critiqued every facet of the catering from delivery to portion size to packaging to set up. One attendee told me this presentation alone was worth the entire cost of the conference. As soon as our videographer gets us the DVD’s, we will be making them available for sale. Hopefully, you can make plans to attend Caterpalooza 2017!